Looking for a unique London experience? 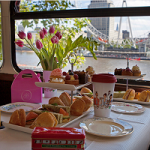 With BB Bakery's afternoon Tea Bus Tour, enjoy High Tea while taking in the city’s most iconic landmark spots including The London Eye, Big Ben, The Houses of Parliament, Westminster Abbey, Marble Arch and more, all from the comfort of a vintage 1960 Routemaster bus – affectionately named Rodney! Launched earlier this year, capture the heart of the city’s culture and history while sipping on tea and filling up on tasty sandwiches, cakes and pastries. Your uniformed driver will pick you up from the London Eye to begin your 90-minute tour – all you have to do it sit back, eat, drink and take in the sites. Whether you’re a party of two or twenty, you can select your seat and deck preference when booking. 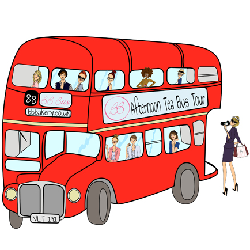 For those celebrating a special occasion, the entire bus is also available for private hire - it’s the perfect venue for weddings, corporate events, hen parties, birthdays and graduations. A family-owned bakery based in Covent Garden, BB Bakery is the brainchild of Brigitte Bloch, or BB, who is the beauty and brains behind the décor, ambiance and general feel of the bakery. Dedicated to finding a unique location in which to offer Afternoon Tea, BB and her son Cedric finally decided to settle in London to launch this stunning patisserie having spent years travelling the world.